Real Estate Investment Auction — Harritt Group, Inc.
After 2:30pm day of auction or call for appointment. 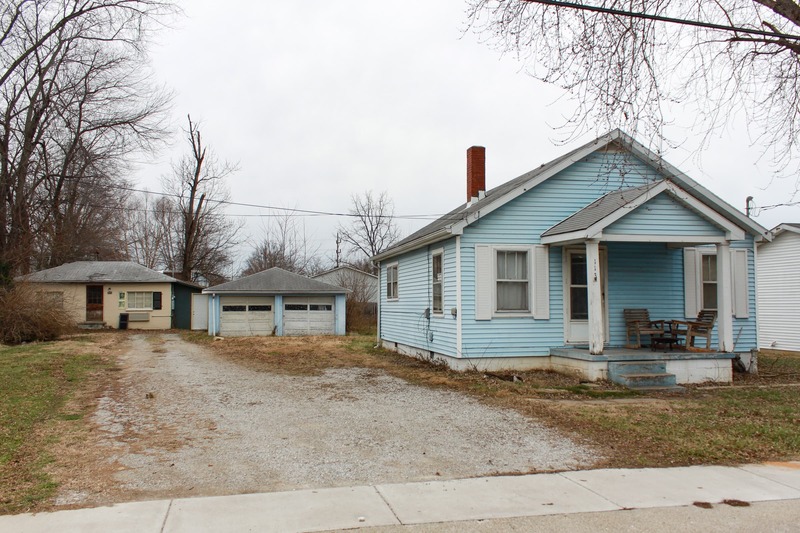 Great investment potential includes 2 dwellings – a 2 bedroom-1 bath bungalow and 1 bedroom-1 bath residence – plus 2-car detached garage on large double lot located off Eastern Blvd. close to Clarksville Schools. 672 square foot bungalow on crawl space built in 1947 with detached 2-car garage on 100’ x 135’ lot located near schools and shopping corridor. Home includes 2 bedrooms, 1 bath, attic, vinyl siding with central air & heat. 544 square foot concrete block 1 bedroom – 1 bath home built in 1947 with through-the-wall heat & air unit. Unit recently rented for $400 monthly. Lewis & Clark Parkway to Eastern Blvd South. 4/10 mile to right on Maple Court. 3/10 mile to auction on right. Or Lewis & Clark Parkway to Lincoln Drive South to left on Adams Avenue (across from Williams Bakery) to straight on Maple Court.